The New York Yankees were recently under pressure for being the only club in Major League Baseball (MLB) without an LGBTQ pride night (the Angels were also on the “naughty list,” but they recently acknowledged a plan to incorporate pride into their 2019 timeline). Now, the Yankees seem to have followed suit. 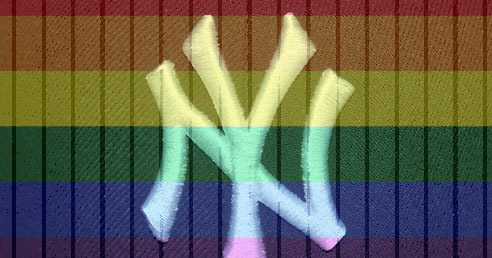 In a new announcement, the Yankees said they are committed to the LGBTQ community by way of a scholarship to honor the gay rights movement at Stonewall 50 years ago. Dubbed the Yankees-Stonewall Scholars Initiative, the celebration will honor New York City graduates from the public school system in all five boroughs. The event will be held from June 17-26, 2019. Scholarship honorees will have made a positive impact toward the LGBTQ community in advancing equality. Five $10,000 scholarships will be dispersed as determined by the New York Department of Education. “The Stonewall Inn represents the very place where gay pride began, and we are extremely excited that the New York Yankees will be an official partner of ours and the upcoming 50th anniversary of Stonewall,” said Stacy Lentz, co-owner of the Stonewall Inn and Founder of the Stonewall Inn Gives Back Initiative. “Their support of the Stonewall legacy is a historic step and we look forward to continuing our work together to elevate awareness and support for full LGBTQ equality,” Lentz said. “The Yankees wholeheartedly support equality for all individuals and applaud any efforts which make our society more inclusive and tolerant,” said Yankees managing general partner Hal Steinbrenner in a statement. “It is our hope that this scholarship program will serve as a springboard for young LGBTQ student community members and advocates as they continue the pursuit of their dreams, ambitions and livelihoods,” he added. Outsports once said that the “Yankees have never held an LGBT pride night because they’re the Yankees,” but that narrative may be changing now. “The Stonewall Inn here in New York City is the home of the LGBTQ Civil Rights Movement, and it is heartwarming to see the New York Yankees support the next generation of LGBTQ civil rights leaders,” said Speaker Corey Johnson.